As you probably already know, Twitter is where I spend most of my time online. My day starts with Twitter and ends with Facebook, but as a Twitter fan woman, Twitter is my darling amongst the social media I use. To help you start the year right, I decided to create this list of my top contacts and purveyors of information in 140 characters or fewer. I hope these individuals, experts, and entities soon become your favorites too. Note: The list is organized alphabetically, not by ranking. Founded by author and poet Orna Ross, @IndieAuthor ALLI is a membership organization of indie authors and advisors. Andrea has been writing about social media for years. Although she caters to the business world, her words are genuine pearls of wisdom and she’s well worth following and keeping track of. I adore Anne’s blog and enjoy following her on Twitter too. She is one smart lady! I’ve been following Ann since I first signed up for Twitter and voraciously read a book she co-wrote, Content Matters. She understands content marketing like few others. You can also find her at @annhandley. Dig deeper into the book business by reading some of the tweets by Book Business. Keep in touch with BookWorks’s blog posts, authors, and tidbits of interest to indie authors by following BookWorks. You can also follow the founder of BookWorks, Betty Sargent. Keep up with changes in social media by following Buffer on Twitter and reading its blog. Carol is the guru of freelance writers who want to make a living while writing for others. Chris is a social media expert for authors. If you’re not aware of her, start following her. Chris teaches indie authors how to get their own publicity. CopyBlogger started as a blog. Over time, it grew into a business to help others build their authority online through its content marketing education and products. Dan’s business is We Grow Media, and he’s a blogger for WriterUnboxed. A writer, he specializes in helping others share their stories and connect with their audience. DBW has the mission of trying to educate authors about publishing in a digital world. Elizabeth is a cozy mystery author of the Southern Quilting mysteries and Memphis Barbeque mysteries for Penguin Random House and the Myrtle Clover series for Midnight Ink and independently. She tweets on story structure, plot, and other writing tips as well as book marketing. You can learn a lot about writers and their process by listening to Terry Gross and the Peabody Award winning program. 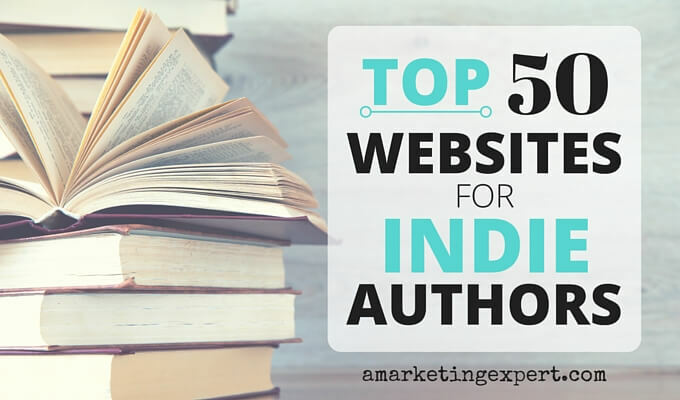 If you’re an indie author, the IBPA is a huge resource that will address your needs. Jane is an author, former publisher of Writer’s Digest, and astute marketing maven. Follow her to discover updates to her blog and whatever’s hot in publishing. Jean dePaulla of Mixtus Media will keep you informed on how to find and connect with readers online. I’ve been following Jeff since 2011, and he’s always a reliable source for what’s new in social media. The author of The Art of Work, Jeff helps authors achieve success in their careers. Joanna, through her books, blog, and podcast, is an informative author and mentor to the indie author world. You’ll never be disappointed in her tweets – or anything she does. Blogger, author, and entrepreneur, Joel retweets the best the indie author world has to offer writers. Kim is the internationally published author of Outlining Your Novel and Structuring Your Novel. Lisa is a nonfiction book coach, author, and speaker. Louise seems to know more about social media than perhaps any other graphic artist on the internet. Her posts are always timely, informative, and gorgeous. Nina is a nonfiction author, mentor, and coach. Keep up with self-publishing, promotion, and big publishing news by following the lawyer who produces the newsletter, Passive Voice Blog. Once you subscribe, you’ll receive daily briefings of what’s going on in the publishing world. Paula is the public relations and marketing manager for a public library. Her tweets cover the publishing world in addition to great nuggets about books. Author and speaker, Peg is a talented social media strategist. Penny is the founder of Author Marketing Experts, publicist, and author. Editor-in-chief of Publishing Perspectives, you can rely on Porter to keep you abreast of literary events and issues from around the world. Rachel is a social media marketing strategist, founder of #MondayBlogs, and an author in her own right. Reedsy connects authors and publishers with professionals in the industry and offers free courses. Roz is an author, editor, and speaker. Sabrina is a writer, ebook developer, and blogger at DigitalPubbing.com. The San Francisco Writers Conference is the West Coast’s premiere conference for authors. They tweet about the publishing world and issues pertinent to self-publishers. Want to learn more about social media? Subscribe to the blog and follow @SMExaminer for informative tweets about all things related to marketing online. Susanne is the author of 16 novels and six nonfiction books. She’s also astute about marketing and is a writing coach, copyeditor, and blogger. A star on Writer’s Digest lists of the best blogs, Writer Unboxed provides informative tweets from its own blog and other sources. The author of this blog: Frances Caballo is an author of eight books on social media and a social media strategist and manager for writers. She’s a regular speaker at the San Francisco Writers Conference. In addition, she’s a contributing writer at TheBookDesigner.com and blogger and Social Media Expert for BookWorks. Her social media books include Social Media Just for Writers (new edition available soon) , The Author’s Guide to Goodreads and Social Media in 30 Minutes a Day. Her focus is on helping authors surmount the barriers that keep them from flourishing online, building their platform, finding new readers, and selling more books. Her clients include authors of every genre and writers’ conferences. Not sure how you’re doing online? Sign up for my free email course. Confused about whether you’re being effective on social media? Get the free email course and the bonus book for free. Ami: I stand corrected. Thanks for alerting me. It’s been corrected now. So, helpful, France, as always — some names I recognize; more new ones to explore. Twitter continues to bedevil me after two years on the platform, and this list will help my focus. Cat: I’m so glad you found this list helpful! I’m honored to be included on this list! And there are some new sites and people to discover. Jay: Yes, Jon Morrow is fantastic! Thank you for this interesting list. As an author and editor and long-time member of the publishing community, I’m close to 200,000 followers and hoped I would get on your list. Maybe next time. Great list! I can’t wait to explore! Thanks for this, Frances! It’s an honor to be included with these fine follows.